Nehwal and Srikanth will aim to continue their impressive run when they start their campaign at the Indonesia Masters. Jakarta: Olympic silver medallist P V Sindhu will resume her quest for glory in the new season, while Saina Nehwal and Kidambi Srikanth aim to continue their impressive run when they start their campaign at the Indonesia Masters, starting with qualifiers here Tuesday. The 23-year-old from Hyderabad is expected to clash with reigning Olympic champion Carolina Marin at the quarterfinals. 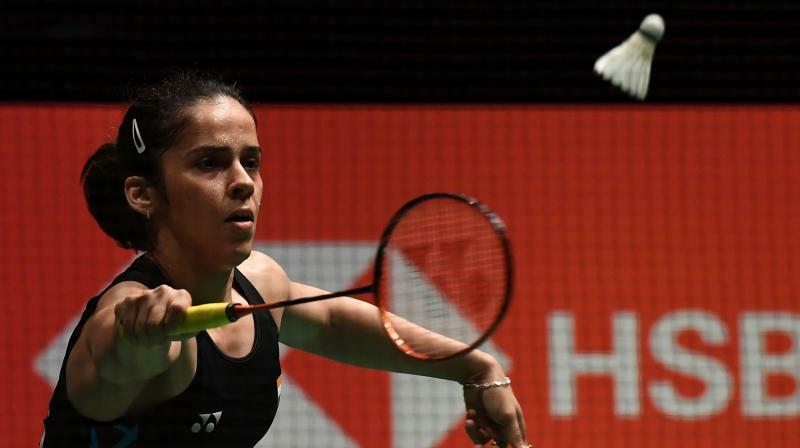 Saina, on the other hand, had an impressive start to the season, losing semifinal spot at Malaysia Masters, which was the first World Tour Super 500 tournament of the season. Srikanth, who also entered the quarterfinals at Kuala Lumpur last week, plays his first match against Malaysia's Liew Daren. The eighth-seeded Indian will be joined by others such as Sameer Verma, B Sai Praneeth and HS Prannoy. Sameer will begin the season with a clash with the legendary Lin Dan, Praneeth faces Olympic champion, Chen Long, while Prannoy meets Chinese Taipei's Chou Tien Chen in the first round. Women's doubles pair of Ashwini Ponnappa and N Sikki Reddy will square off against Thailand's eighth seed Jongkolphan Kititharakul and Rawinda Prajongjai, while mixed doubles pair of Satwiksairaj and Ashwini will pair up to clash with seventh-seeded English husband-wife combination of Chris Adcock and Gabriella Adcock.